The Human Resources Specialist is focused on the delivery of a range of HR transactions and processes. This includes payroll processing and healthcare benefits administration, as well as being a resource for employees by addressing general HR questions in a responsive and timely manner. Assist with the day-to-day efficient operation of the HR department. Performs customer service functions by answering questions and fulfilling requests. Conducts new employee orientation in the onboarding process for all new employees. Verifies I-9 documentation and maintains records in audit ready condition. Submits the online investigation requests and assists with new employee background checks. Responsible for maintaining accurate payroll records. Reconciles all monthly benefits statements and submits to Director of Human Resources for approval. Conducts audits of various benefits or other HR programs and recommends any corrective action. Assists with processing of terminations and with the preparation of the performance review forms. Assists Director of Human Resources with various research projects and/or special projects. Responsible for the temp-to-perm recruitment process. Makes photocopies, faxes documents and performs other clerical functions..
A high level of confidentiality. Excellent interpersonal and customer-facing skills. The flexibility and willingness to learn. The ability to work accurately, with attention to detail. Capable of resolving sensitive concerns that present minimal risk to the business. Must working knowledge of intermediate/advanced PC software: Excel, MS Word, PowerPoint, etc. Must be able to pass screening, drug test and background check. Adhere to company’s drug-free workplace policies. 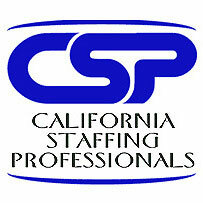 This is a temp to hire position located in the Conejo Valley area. Please contact us for additional details.